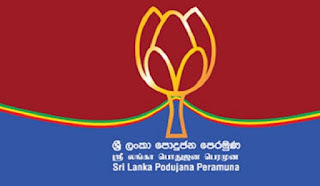 The SLPP said that the sudden arousal of the Wilpattu issue is suspected to be a government ploy targeting the elections. This was stated by MP Shehan Semasinghe in response to a question raised by a journalist at a media briefing yesterday. “This is definitely an issue that has been raised based on a political agenda. Suddenly the UNP have started claiming that Gotabhaya Rajapaksa does not have the support of the minority communities. However I would like to point out that irrespective of political differences, the UNP has been rejected by the people,” Semasinghe said, adding that under his party’s government they would stop the construction of industrial estates by destroying the forests. The forest lands adjacent to Wilpattu were gazetted as forest reserves in 2012. After that 2,600 acres of them were released by the Forest Conservation Department following a recommendation by a committee appointed by then Economic Development Minister Basil Rajapaksa, he said in parliament yesterday. “Lately there has been a massive mud slinging campaign against me. This is all a lie. This attack against me is not by the opposition but by the social media. The people will know who is behind this attack,” Bathiudeen said.